'Bless Me Father' picking up awards. 'Bless Me Father' featuring Reactor Glynis Casson has been picking up awards internationally recently at festivals including Fastnet Film Festival, Golden State Film Festival and Chicago Irish Film Festival. Here at ReActors we are delighted to introduce you to our newest member, Hannah O’Reilly. Hannah most recently participated in her second Corn Exchange workshop in performing commedia, following graduating from Bow Street’s full-time screen acting course (2017-18). Hannah is primarily a theatre actress as well as a singer and choreographer. She trained with companies such as Blue Raincoat, Theatre Lovett, Ballet Athas, and The Corn Exchange and holds a BA in Drama with French and English from NUI Galway. She has a passion for comedy and anything Shakespearean. Most recently she performed in ThereisBear Theatre’s bi-lingual production of The Shadow of Carmilla/Scáth an tSúmaire (Galway Theatre Festival), Discretion Guaranteed,Brokentalkers and Junk Ensemble's It Folds (2016 Edinburgh Fringe), and Fleabagin Smock Alley, as well as many Shakespearean credits. 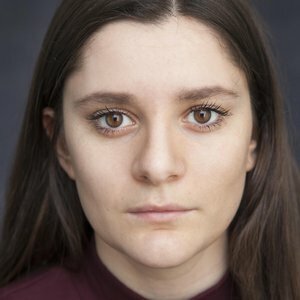 Hannah has been performing on screen regularly, most recently in the London Irish Abroad’s viral video in the Home to Vote Campaign to repeal the Eighth Amendment, for which she was also a Voice Over artist. Hannah has conversational Irish, is fluent in French and holds a driver’s license. She is accomplished in horse riding, swimming, choreography and movement and works as a freelance artist. ReActor Glynis Casson is performing her Recital “Dauntless and Daring- Women of The Gael” with Harpist Claire Roche in Woodford House Booterstown Park, Booterstown next Sunday. Glynis tells the story of six amazing women born in Ireland who were brave, fiesty and determined and wild but who achieved their dreams in a man’s World. Venue: Woodford House, Booterstown Park, Booterstown. Date: Sunday 23rd September @ 7.30pm. Tickets: €20 (including wine and a light supper) . Contact 0863731420 to reserve tickets. You can catch ReActor Shadaan Felfeli in 'My Name is Language' presented by Project Arts Centre and Dublin Theatre Festival. Find out more about this exciting performative work following the link below. Massive Congratulations to the multi talented Sarah Richardson who has just won the Leinster Heats of the All Ireland Slam Championship (spoken word) and is going to the final in November in Galway. Another to add to the fringe list: Catch Sweet Sensations starring ReActor Ceara Carney in Smock Alley Theatre from the 18th to the 22nd of September at 6.30pm. This farcical comedy revolves around Peafield Centre of Excellence, a HSE run nursing home, as HIQA are coming to inspect the joint. This causes staff scramble to cover up the shoddy 'care' they've been giving. With a cast of 15, this is one not to be missed! 'Meitherhood' features in Dublin Short Film and Music Festival. 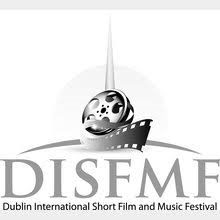 'Meitherhood' directed by Maureen O’Connell and featuring ReActor Aoife Moore will be shown at this year's Dublin International Short Film and Music Festival on the 7th of October. ReActors hit the Edinburgh Fringe! Once again this year, ReActors will be represented at the world renowned Edinburgh Fringe Festival. You can catch Conor Burke in 'Sophie, Ben and Other Problems' at the Assembly George Square Studios (five) from the 1st-27th of August. Maeve O'Mahony will also be performing in 'Everything Not Saved' in Summerhall's Old Lab from the 1st-26th! Over the past few moths ReActors has seen an influx of up and coming talent on our books. We are delighted to introduce our new ReActors: Shane English, Sarah Richardson, Conor Burke, Richard Durning and Maeve O’ Mahony! Head over to the male/female section of the website to find out more about all of our new clients!